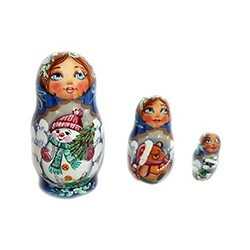 MATRIOSHKA There are 28 products. 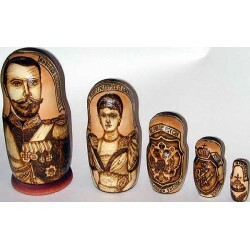 This splendid set of nesting dolls has been made in the ancient Russian town of Sergiev Posad by the talented master O. Listunov. The work is dedicated to the Monarchical House of Romanovs and coats-of-arms of the Russian State. 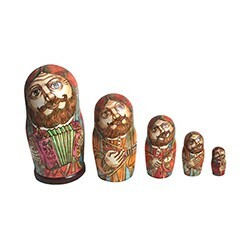 This magnificent set of nesting dolls of museum quality has been made in the ancient Russian town of Sergiev Posad. 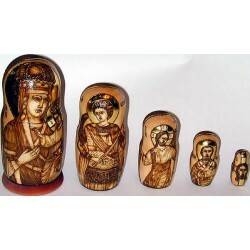 The work is based on the religious subject, and includes five wooden dolls.